Ware’s laundry at number 1 Raynsford Road was a relatively modest outfit which opened around 1905. It was originally known as the Star Laundry and was owned by Edmund Parker. George Devenish (also spelt Devonish) was born in Billericay in Essex in 1844. He died in the St Albans district in 1923. His wife, Annie was born in Holborn in 1872 and died in Ware in 1947. They had two sons, George, born in 1908 and James, born in 1910. 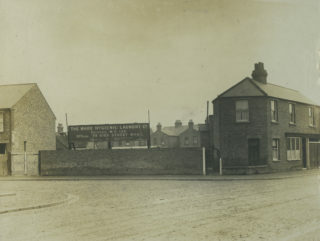 By 1922, it was run by Rollings and Fouracres who also had a business in Crib Street. It doesn’t appear listed as a laundry after 1929. 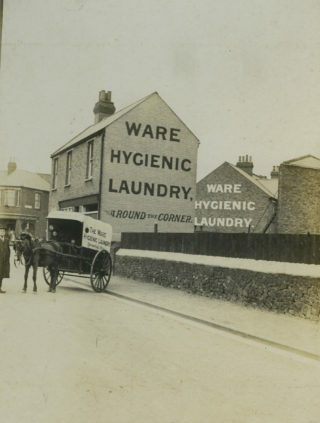 In 1910, there were over 130 laundry services listed in Hertfordshire directory, ranging from lone washerwomen to large steam laundries employing 25 or more (usually women). Ware continued to have a laundry with Francis Fouracres’ ‘Snowdrop Laundry’ in Baldock Street until the 1960s. 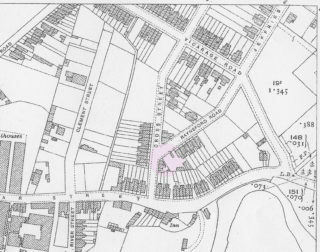 Interesting now realise this is where my father’s block of flats was built.